The Banished Craft is a genre-bending fantasy saga that follows the adventures of Cor, a woman caught in a dying world that does not accept her, and Atesh, a dragon scientist who's been asked to violate his own ethics or put the lives of his family at risk. Follow their trials as they deal with a shattered world, mired in political upheaval, while they try to rediscover a lost magic. The Banished Craft begins the Shkode trilogy: a quirky and modern take on dragons and wizards, exploring themes of identity, prejudice, violence, compassion, and the ways we are all connected. This publisher description leaves some pretty big expectations, and The Banished Craft does not fail to deliver. Unbeknownst to its inhabitants, the triverse has been damaged by an event that caused it to split into two parallel realms or spheres, one inhabited by humans, and one inhabited by (personified) dragons. The human world, Teirrah, consists of Marshstate, Cavestate, Seastate, and Farmstate, each with its own distinct terrain and culture. Naturally, the terrain corresponds to the state name (Marshstate is boggy, Seastate is seafaring), but each state also has its own way of life. The problem is that Teirrah is now unified under singular rule and the laws and customs enforced by Gardenia (part of Farmstate) are oppressive and inconsistent with the various cultures at hand. Primarily, in Teirrah women have no rights. They are not allowed to own or buy anything really (including books) and are not allowed to live in a house without an adult male. Cor, the bronze skinned and red-haired protagonist featured on the book’s cover, will have none of this. She recently moved to Farmstate in an attempt to make her way into the university library, a place that is forbidden to women, to find out more about her parents' deaths. Cor is such a fantastic character and through her E.D.E Bell brilliantly captures what it is to be a woman, and to be different. Cor is not often taken seriously by her male peers, but ironically is treated with a little more respect by the older men she encounters, which may be an allegory for naivety. All this talk about Cor would make you think she’s the only character in the book, but that’s not remotely true. Cor isn’t even the only incredible female character. There is also Francie, the Grande Dame of Teirrah, who uses her privilege to help those in need. And Ma'Bay, a doctor from the Marshstate who has devoted her life to caring for her community. But it's not just a book full of strong female characters either, all the characters, both male and female, human and dragon, are complex and determined and well developed. And I've only really talked about the human sphere. There is a whole parallel story running throughout that takes place in Arev, or the dragon sphere, which is just as nuanced. Both worlds are on the brink of political upheaval and there is a tension that permeates both storylines that keeps them engaging. It is impressive that with all the character arcs and parallel universes, the book never feels crowded or rushed. Admittedly, I always longed for more Cor, but I never tired of reading about the other characters and other worlds. The multiple arcs serve as a world building device that creates a complex and layered universe (or triverse I guess) that leaps off the page. I want more of The Banished Craft world. And I want a wiki for it. There are many highly promoted big publisher books that are supposed to be amazing and diverse and whatever that…fall flat, to say the least (I'm thinking of one in particular). 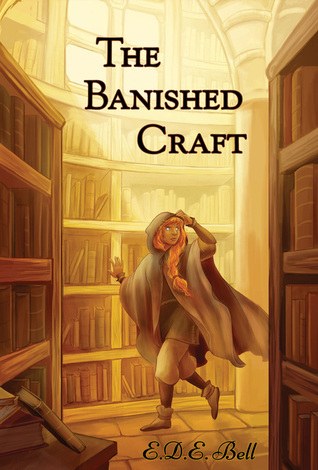 Then, there are books like The Banished Craft which are small budget, crowd sourced, and independently published that are superb. I highly recommend you give The Banished Craft a try. You can buy the e-version here for a relatively low price. In fact, I was so impressed with The Banished Craft that it was one of just two novels I put on my Hugo ballot. Lucky for us all, the sequel has been funded and we should hope to see it sometime in the fall. Nerd Coefficient: 9/10 "very high quality/standout in its category"
HUGOPOCALYPSE II: Where Do We Go From Here?